Some of you may know that Boh tea is the most famous tea in Malaysia. 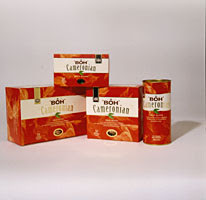 One of its ranges of product is the BOH Cameronian Gold Blend. 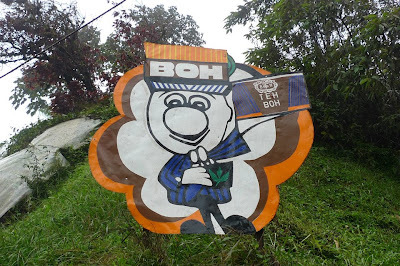 Some claimed that BOH sells one of the best black tea worldwide, but for some reason it is somewhat neglected other than its home land. To refresh your memory, you may click at the title to access to my previous article on Boh Tea Plantation in Malaysia. For those who require "oomph (kick) in their lives", you are strongly recommended to try this tea. Needless to say, it is far much better than junk drinks such as Coca Cola. Junk drinks appear to keep you alert under the oddest circumstances and have a rather short interval during which they provide stimulation. I must confess that I drink coffees almost daily so as to maintain my energy level. I do not recall when I began to drink coffee, but I know it is at very young age i.e. during my childhood. Green tea and black tea are different though; and a good cup of black tea can get you through almost 2 hours of work without interruption. Give it a try and let us know how you find it. You may find this product at any major supermarket. Have a sip of tea so as to enjoy your life.